Cindy attended the College of San Mateo Dental Assisting Program and graduated in the top five of her class. 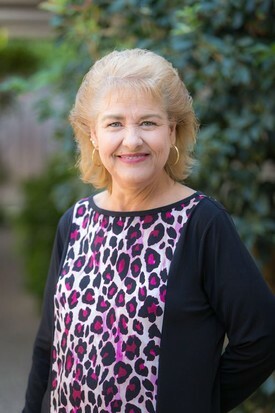 She went on to take the California State Board exams and earned her Registered Dental Assisting Certificate (RDA), X-Ray license and coronal polishing license. Cindy's background in dental education is invaluable to our patients, as she is able to explain procedures thoroughly and clearly. She also wrestles with insurance companies and is the face of our office. She has worked with Dr. Emam since 2003 and we are lucky to have her on our team! Click here to read an in-depth staff interview with Cindy to learn more about her invaluable role and work in our practice. Faby attended the Bryman School in San Francisco and graduated in 2002. 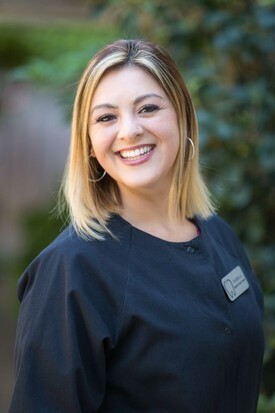 She is a licensed RDA (Registered Dental Assistant) and is knowledgeable about all dental procedures performed by Dr. Emam. Patients often comment on how much they appreciate Faby's gentle touch and calming presence. Click here to read an in-depth interview with Faby and learn more about her invaluable role and work in our practice.